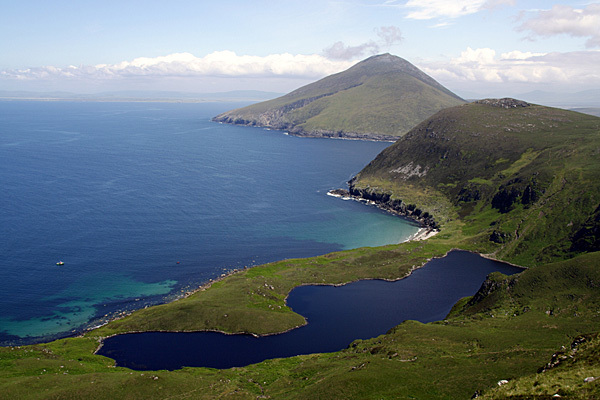 A view of Slievemore from Croaghaun on the mountainous Achill Island. 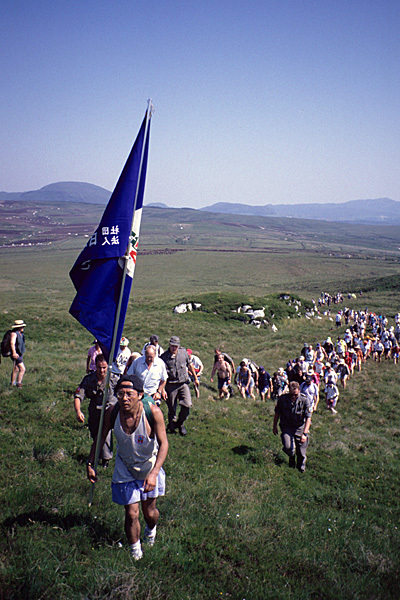 Castlebar’s International Four Days Walks introduce the world to the West of Ireland. 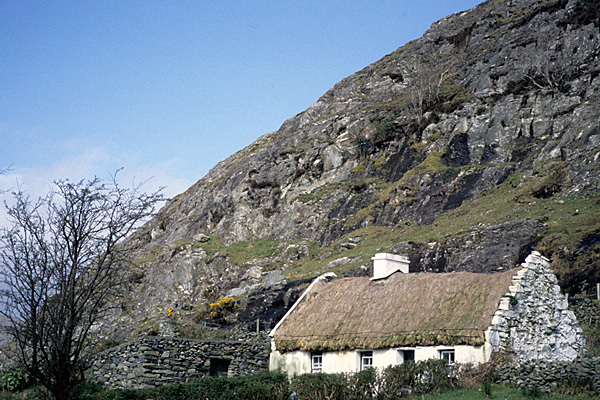 A cosy thatched cottage sits at the foot of a mountain in Joyce Country. Sigma Leisure's 'Holiday Walks' series aims to offer a selection of walks in a particular area. Connacht is the Wild West of Ireland, yet this guidebook explores not only the mountains, but also some gentle, easy walks too. The route research took three weeks and although it was spring, the weather was decidedly wintry at times. The book offers 24 walks and an overview of the Castlebar International Four Day Walks. An attempt has been made to include at least one short stretch from the many waymarked trails that criss-cross the area, as well as choosing wonderfully wild walks and routes that show off the history and heritage of the area. 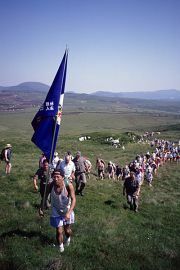 The toughest walk in the book is probably the ascent of mighty Mweelrea, the highest mountain in the Province of Connacht. That walk was completed last of all, on a splendid day, before cloud rolled in from the sea and it rained for the best part of a week! Originally, the publisher considered a four-volume series of 'Holiday Walks' titles, covering the four historic Provinces of Ireland, but the idea never progressed beyond the first book. Copies can usually be obtained through Amazon.